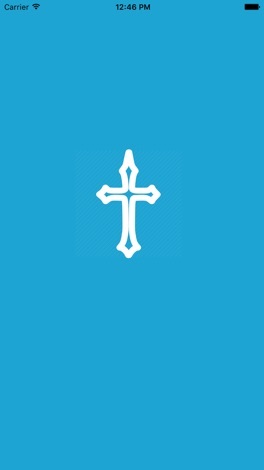 The Holy Bible - is a beautiful, easy to use, full featured Bible app designed for quick navigation, easy note taking and powerful Bible study, with the American Standard Version (ASV) and King James Version (KJV) Bible translations. 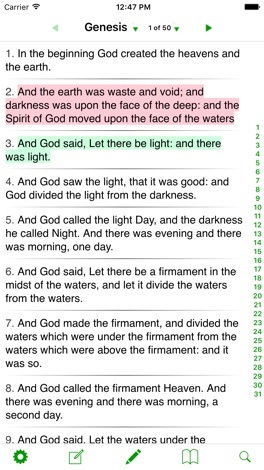 Find out for yourself why Bibles are the top selling Bibles on iPhones and iPads. Your library, notes, highlights and all of the app features are stored on your device so that you have full functionality when you are offline or in airplane mode. With our one-of-a-kind Resource Guide, perform powerful searches through your entire Library of Bibles, Bible commentaries, Bible dictionaries, and more. 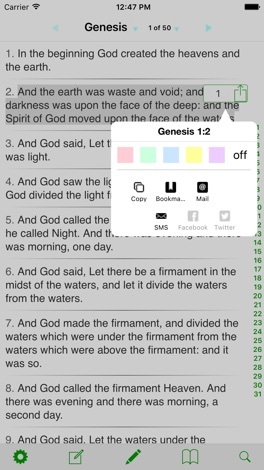 The split window feature allows you to create your own customized parallel Bible for translation comparison, view your study notes while you read, or follow along with a commentary while you study Scripture. 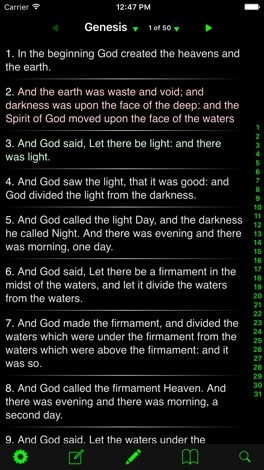 Remove distractions by opening your books and Bibles in full screen and immerse yourself in Scripture. 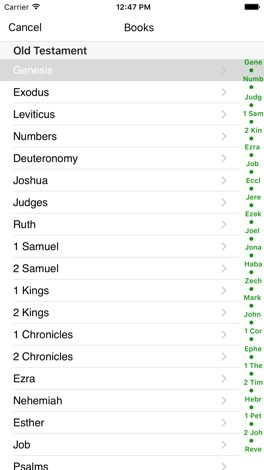 Instantly share the Bible with your friends from inside the app. Tap on a verse to share it through Twitter, Facebook or via email.